But then I remembered seeing some piping work being done on one of the many cooking shows we love watching…and TA-DA!! Problem solved! STEP 1: Spoon some of your lotion into the corner of the ziplock bag. STEP 2: Cut off a TINY piece of the corner of the ziplock bag to make a little hole. 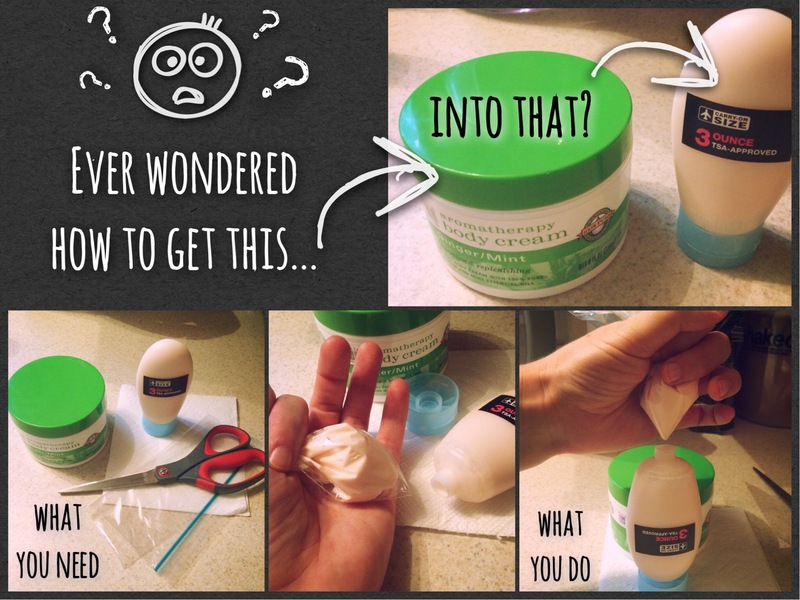 STEP 3: Gently squeeze the lotion into the travel bottle. You might need to stop and tap the bottle to make sure you are filling it without any air bubbles. What travel tips have you found useful in the past?